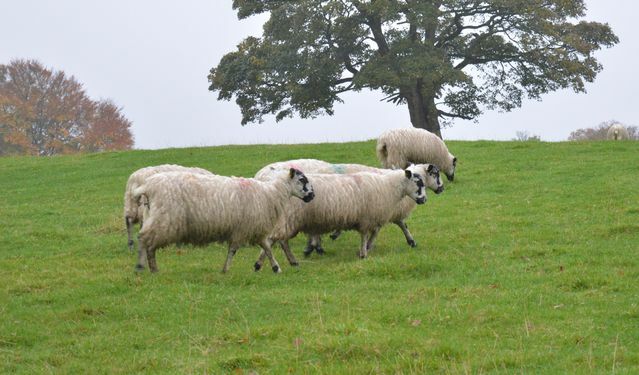 Wool Fusion is the latest celebration of wool spearheaded by HRH The Prince of Wales' Campaign for Wool. As part of Wool Week 2017 the exhibition features an impressive collection of fabrics, photography, furniture and fashion all showcasing the beauty and versatility of this natural material. The campaign has inspired everyone from designers to manufacturers, high street brands to bespoke retailers all of which are represented in the exhibition. 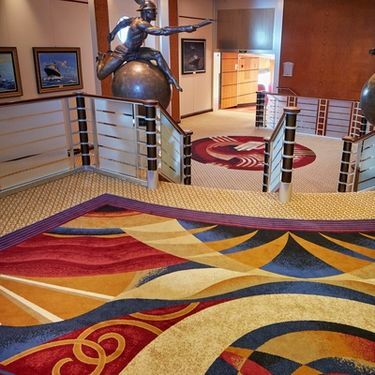 Brintons collaborated with textile designer Angie Parker to create an axminster stair carpet design named Fryktlos. 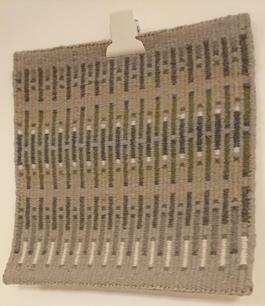 The pairing of the collaboration between Angie's organic, handwoven style with our custom QuickWeave process allowed the design to be swiftly reproduced in a large quantity using the Brintons signature 80% wool/20% nylon blend. 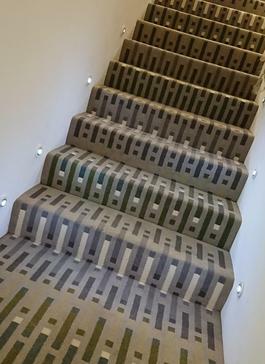 Whilst not everyone is lucky enough to commission their own flooring design we wanted to show what is possible within wool and fitted on the main stairwell this carpet knits together pieces installed both upstairs and downstairs, ensuring visitors transition from wool installation to wool installation is seamless. 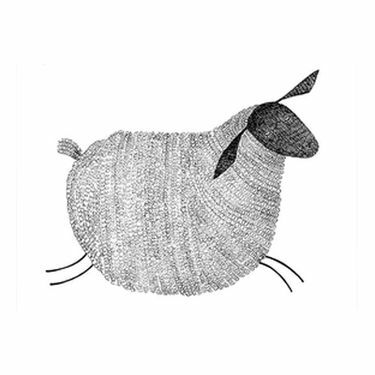 'Fryktlos' embodies the fusion between the independent design community and established bodies like us who are both invested in the wool industry - we hope you like it! To see some more pictures from the Wool Fusion event take a look at our Instagram. 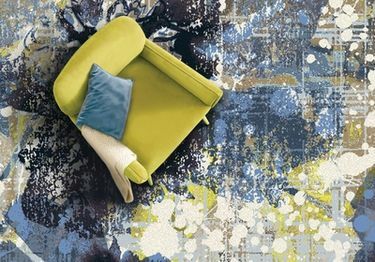 Celebrating 40 years in 2017, Decorex is internationally renowned for being the destination where interior design professionals gather to discover the finest and most coveted luxury products from new, emerging and established talent. 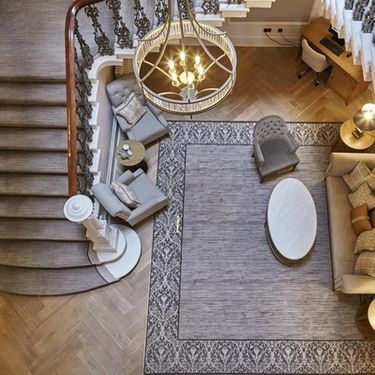 Creating a space that looks good is important, but interiors are more than this, they help you relax; welcome family and friends or get cosy and comfortable. At Decorex this year four interactive areas are being created to explore sight, sound, smell and touch through displays that embrace all of these design senses. 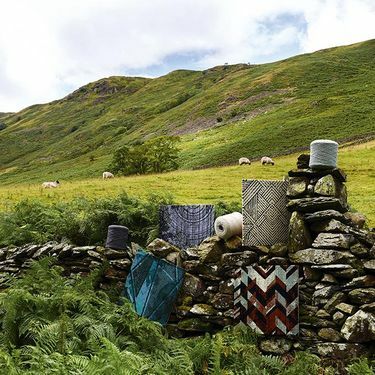 We have been thrilled to collaborate with Country Life magazine, British Wool and two other leading interiors brands - Zoffany and Roger Oates - to explore the tactile possibilities of wool and create the ‘Touch' feature area. 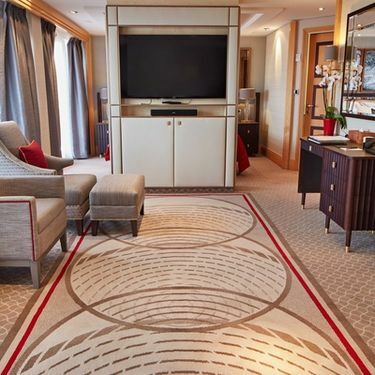 This project will celebrate the pivotal role that British Wool plays in classic and contemporary interiors. 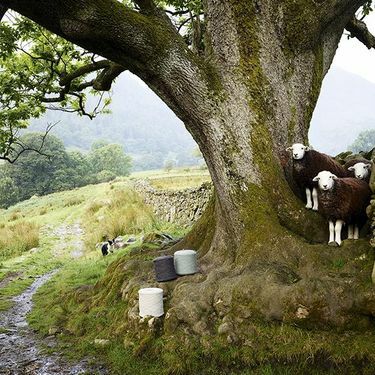 Countrylife magazine, which celebrates its 120th anniversary this year, commissioned photography of our carpets alongside sheep breeds, the fleece of which is used for our luxury wool-rich carpets. These images will also feature in the September 13 issue of the magazine but if you are attending Decorex make sure you pop over to stand F3 to ‘touch’. Brintons are collaborating with contemporary artist and filmmaker Shezad Dawood for a pop-up art installation at Clerkenwell Design Week. General Project’s new creative workplace venue, Technique 132 -140 Goswell Road will be transformed into an immersive art installation, made using Brinton’s High Definition Weave technology. This debate will explore the critical issue of how developers, architects and activists must join forces to preserve and develop London’s creative workspaces, and endeavour to find commercially viable, sustainable solutions to the increasing affordability challenges facing the city’s designers, makers and artists, if the capital is to retain its creative capital. On the panel will be Jacob Loftus, CEO of General Projects, Candida Gertler, co-founder of Outset contemporary arts fund, Andrew Harris, co-director of Bartlett Urban Lab and Matt Yeoman, director of BuckleyYeomanGray Architects. 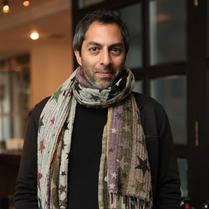 The talk will be chaired by James McLachlan editor of Icon Magazine. 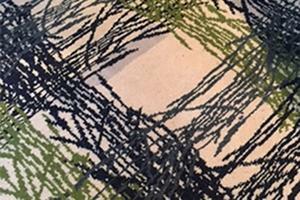 This talk will explore the creative and technical process of transforming and translating complex designs into Carpet. 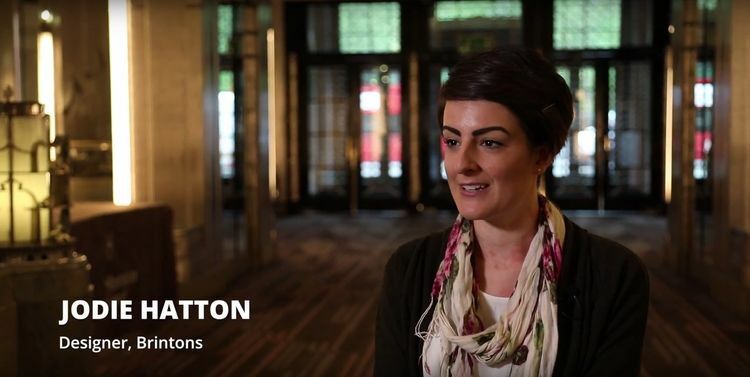 Emma Cassidy, Head of Creative Design at Brintons will be in discussion with contemporary artist and film maker Shezad Dawood, to discuss Dawood’s recent collaboration with the heritage English brand. 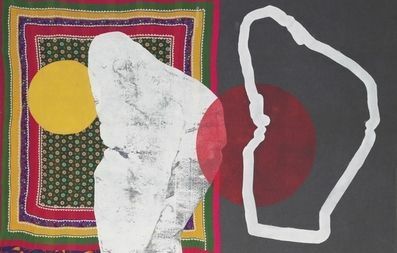 For the installation Dawood has created a triptych from the fabrics and then printed and rendered visual motifs and themes from his own archive of work, across film, painting and sculpture. The discussion will be chaired by freelance writer Suzanne Trocmé and take place in the loading bay of Technique 132-140 Goswell Road. Chaired by Architecture critic, writer and broadcaster, Tom Dyckhoff, this debate uncovers the essential ingredients for a creative community, by charting the transformation of this quintessential case study from declined industrial quarter in the 1980s to today's cultural powerhouse. We bring together key figures from this journey to uncover the conditions necessary to create a successful post-industrial neighbourhood, mirroring the UK's own reinvention from manufacturing to service economy. Brintons scores hat trick at Chelsea! 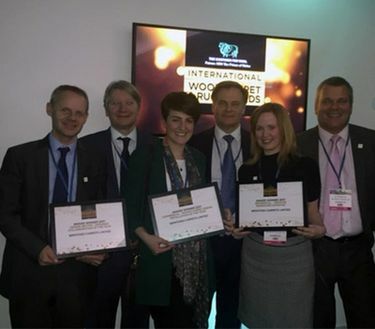 The wool flooring industry gathered last week (15th March) to receive recognition at the 2nd Campaign for Wool International Carpet and Rug Awards. The prestigious event was held at Stamford Bridge, (home of Chelsea FC) where many attendees were also exhibitors at Wool Floor Show London. 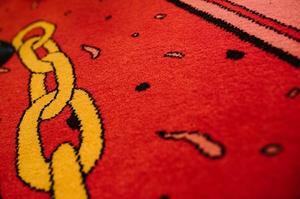 This exciting event for wool flooring provided a retail trade, design and contract showcase in central London. 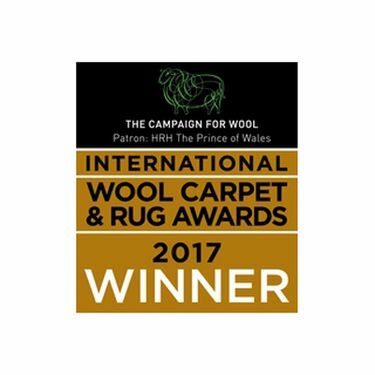 The Campaign for Wool established the awards in 2016 to highlight the diversity and breadth of quality in design, production, innovation and marketing across the carpet and rug sector. 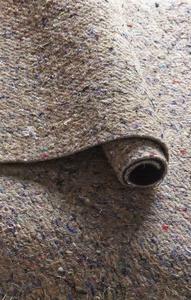 Over 65% of wool from the UK and a significant proportion of New Zealand wool is used in flooring. Our 2016 ‘Fleece to Floor’ marketing campaign was awarded the Creative Marketing Initiative Award. 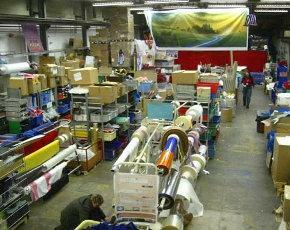 This campaign showcased our craftsmanship, heritage and style through a series of videos and beautiful images. 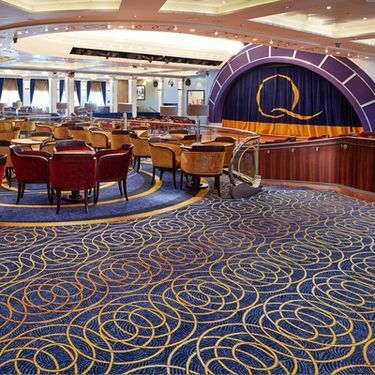 Our beautiful custom designs for the Queen Mary 2 cruise ship were awarded winner of the ‘Woven Carpet Installation of the Year’ award. 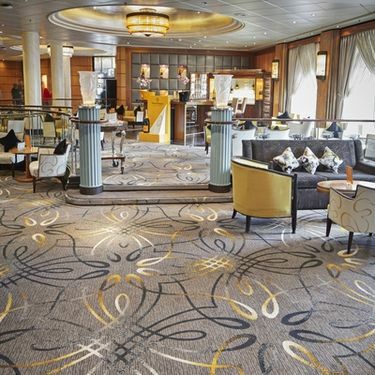 Brintons was appointed by SMC Design and worked closely with Cunard UK to provide nearly 20,000 m2 of luxury axminster carpets to the 150,000 tonne transatlantic liner, taking inspiration from the original Queen Mary. 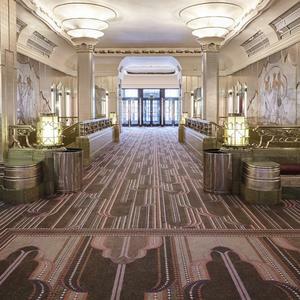 A finalist slot was also awarded to Brintons in this category for our work at The Principal York hotel. 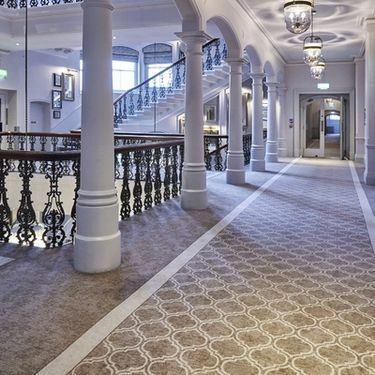 Luxury lifestyle hotel, The Principal York opened in November 2016 after an award-winning remodelling and refurbishment programme that includes bespoke carpets and rugs designed and made by Brintons. We were thrilled to receive our awards at the event!